"There's nothing the Arab respects more than a strong steady white hand drawing arbitrary lines betwixt their ridiculous tribal allegiances"
It is widely accepted that the geography of today's Middle East was carved out by Britain and France with no consideration of the thoughts of the people actually living there, but rather in an attempt to further their own interests and to maintain control over the region. 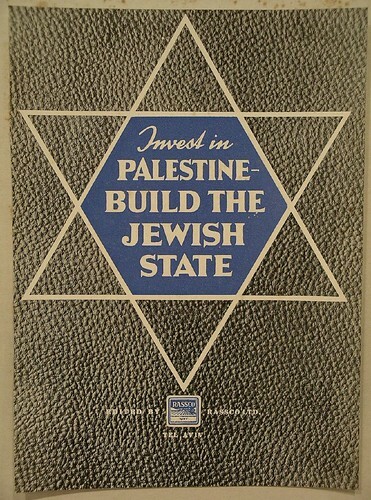 The British Mandate over Palestine and the subsequent establishment of the State of Israel is but one of the outcomes of this endeavour, and it is hardly only the Palestinian population which has to bear the consequences of the European colonial enterprise, as ethnic and sectarian conflicts keep on shaking the region. It would obviously be an oversimplification to blame the continuous bloodshed in the Middle East solely on the way the colonial powers drew the borders. Equally important is the colonial strategy of divide and rule, during which ethnic and religious identities were strengthened and militarised and eventually played out against each other. Today's conflict in Syria for instance, is undoubtedly also an outcome of the French raising the previously disenfranchised Alawite minority into constituting the ruling elite in order to have an ally against the Sunni majority. Leaders keep on fighting battles over borders, identities and security concerns with little concern for the people whose interest they supposedly represent, and who more than often end up as not much more than cannon fodder, or the victims of so called collateral damage. A small, but nevertheless very illustrative example of this is the village of Ghajar, located on the border between Lebanon and the Israeli-occupied Golan heights. 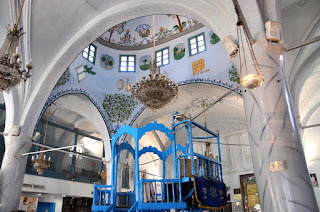 Most of the 2,200 residents of Ghajar are Alawites, a religious community who follow a branch of the Twelver school of Shia Islam, and are rejected by many Sunni Muslims as heretical. In 1932 Ghajar's residents were given the choice to either become Lebanese or Syrian citizens. Due to the considerably large Alawite community in Syria, the overwhelming majority of Ghajar's residents chose to become part of Syria. 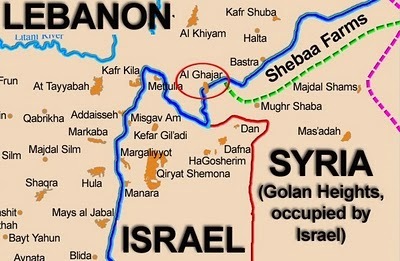 During the 1967 war, Israel captured the Golan Heights from Syria, and later annexed it to its territory. Eventually the residents of Ghajar technically accepted their new rulers and became Israeli citizens under the Golan Heights Law in 1981. Ghajar's residents became the only Alawite community in Israel. Due to natural growth Ghajar soon expanded across the border into then Israeli-occupied Lebanon. In 2000 however, Israel withdrew its troops from exactly that territory and the UN went out to demarcate permanent borders between the two states. The resulting Blue Line cut through the village, with the northern half of it coming to be located on Lebanese territory and the southern remaining on Israeli annexed land. Ghajar's residents on both sides retained Israeli citizenship, though some in the northern part of the village hold both Lebanese and Israeli citizenship. The Israeli government back then promised both the UN and the villagers that the status quo of Ghajar and its residents would be preserved. In deference of the wishes of the residents, the Blue Line therefore did not physically divide the village, which therefore made it the only stretch of the Israeli-Lebanese border where there is no security fence. Ghajar therefore became known as the hole in Israel's national defence system and a hub for Hezbollah infiltration into northern Israel. One such attack through Hizbollah was used by Israel as a pretext to invade southern Lebanon and to reoccupy the northern part of the village during the 2006 Lebanon War. After a month of intense fighting both parties agreed to UNSC Resolution 1701, which entailed, among other things, the withdrawal of Israeli forces from Lebanese territory, including the northern part of the village. 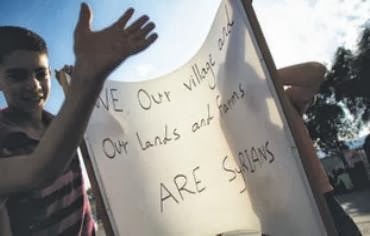 Fearing that their village would finally be divided between Israeli and Lebanese territory, the residents of Ghajar have been regularly taking to the streets to protest the splitting up of families and the blocking of residents from their land, stressing that "Ghajar is Syrian, it's people are Syrian and its land is Syrian". It is highly unlikely that the wishes of Ghajar's residents will be considered by any party, including the UN, in the future. Although neither Israel, nor Lebanon have a real interest in incorporating the population, the strategic location of the village will keep Ghajar's residents in the range of the crossfire between Israel and Hizbollah.